If you’re like many Americans, you’re planning an outdoor party to celebrate the warm-weather season. 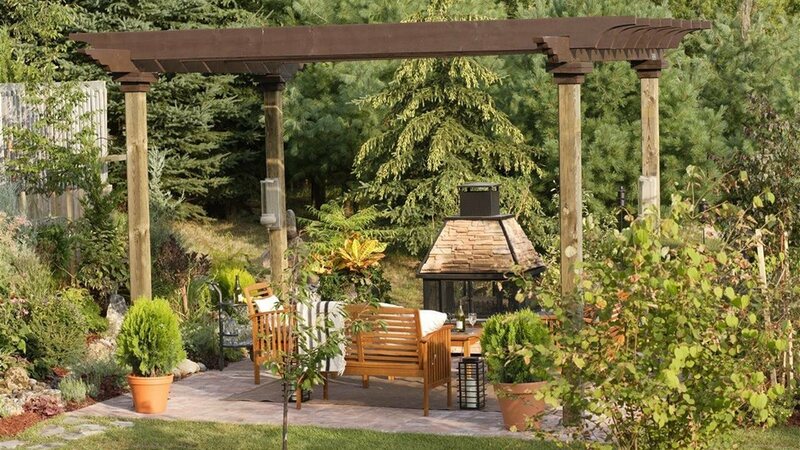 That may be especially true if you’ve made recent improvements to your outdoor spaces; according to a recent Houzz survey, 51 percent of homeowners conducting such upgrades plan to throw more parties, and 67 percent plan to spend more time outdoors. Of course, part of the fun of hosting is taking pride in the home and yard you’ve worked so hard to maintain. That’s why you’ll want to take steps to ensure the grass is fully green, landscaping looks neat, air smells fresh and guests can enjoy the food and company without interruption from bugs and rodents. Consider these tips for making that happen. 1. Create a lush mix of plants. This is the time of year to show off your gardening skills. If you haven’t already optimized this year’s landscaping, take advantage of seasonal sales to create a wealth of gorgeous, colorful blooms and lush emerald foliage. Be sure to pamper your plants with Miracle-Gro(R) Water Soluble All Purpose Plant Food so they can grow to their glorious full potential. 2. Show off a carpet of green. Create a yard your guests want to walk on barefoot by creating an appropriate watering schedule for your region and keeping the grass mowed to a height of 3 to 3.5 inches (but no less than 2 inches). You can make your blades greener in as few as three days by applying micronutrient-rich Scotts(R) Green Max(TM) Lawn Food. 3. Harvest homegrown herbs and produce. Nothing adds fresh flavor to a summer meal like fruits, vegetables and herbs straight from your garden. Once your plants are fully grown, wow guests by featuring your home-grown produce in salads, sandwiches, dips, desserts and other crowd-favorite dishes. 4. Repel the bugs. Help prevent mosquitoes from bothering your guests by building a protective perimeter of citrus-scented Ortho(R) Home Defense(R) Perimeter Protection Repellent Candles. These effective candles work on your behalf by using fresh-smelling essential oils that repel twice the mosquitoes as citronella. Other DIY tips for warding off insects: remove standing water in places like trash can lids, bird baths and pet dishes and strategically situate unscented or beeswax candles infused with drops of spearmint or lemongrass oil. 5. Keep unwanted guests away. Throughout the party, clean up spills and trash to prevent critters like raccoons, skunks and deer from running toward the food. Music (although not too loud to disturb the neighbors!) can also deter animals that don’t like the noise. Keep serving dishes covered and out of reach, and, once the party’s over, dispose of garbage in mint-infused trash bags like Tomcat(R) Dual Action Outdoor Trash Bags. The mint oil helps ward off pesky raccoons that search trash cans for leftovers. By taking the time to make your yard pleasant before your guests come over, you can kick back, enjoy their compliments and make memories once they arrive. Here's to a great outdoor season.